Every year in January, knife companies show off upcoming wares to the world at the SHOT Show. This edition of The Cutting Edge previews the brand Cold Steel for 2019. 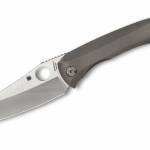 Cold Steel released a wide array of new knives for 2019 at the industry trade show, SHOT (Shooting, Hunting, Outdoor Trade) Show, which is going on this week in Las Vegas. Cold Steel’s 2019 lineup is one of the most varied in the industry. A few years ago, it pushed all its chips in on a new deployment method, the HTR (hollow thumb ramp). But it didn’t take off despite being quite decent in use. Last year was staid with a number of pretty conventional releases. This year, it went high-variance again and offers a number of unusual and complex blades. I think this year’s lineup is on the good end of high variance. Cold Steel has a few hits for 2019. While there is no new line-wide technology, there is a clear theme. For years, Andrew Demko, a famous custom knifemaker, has teamed up with Cold Steel. First, he helped the brand develop the Tri-Ad lock, an extra-strong version of the lockback. Then, he started designing knives. This year, for the first time, Cold Steel will build straight-up production collabs of his two most famous designs: the AD-10 and AD-15. The AD-10 is the more convention of the two, with standard steel and G10 slab handle design. The knife locks with the Tri-Ad lock, and it sports Demko’s classic extra-beefy drop point. The knife weighs in at 6.9 ounces, and the blade is 3.5 inches long. The AD-10 runs S35VN steel. The AD-10 is a solid design. For a few years, it was exceptionally hard to find on the custom market. A full-production collab should sell well, especially to Cold Steel fans. Solid, well-designed, and classic, the AD-10 is a total no-brainer in terms of sales. At $240, it’s significantly cheaper (by $1,000) than the original custom. 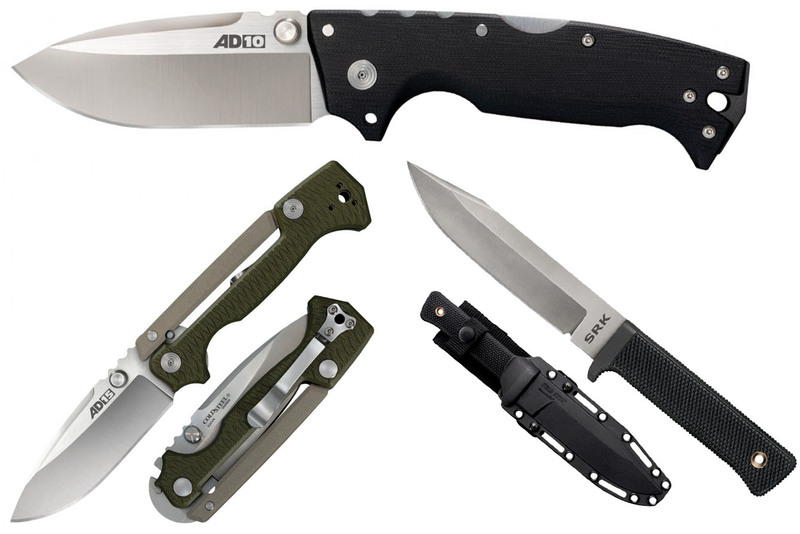 If the AD-10 is the classic, the AD-15 is the avant-garde knife. A knife I long considered impossible to make commercially viable (both because of its weird design and its complexity), Cold Steel has done it. The custom original is one of must unusual knives I have ever handled thanks to the Scorpion lock designed by Demko. Each side of the handle has two parts, with the spine portion riding on a pivot. Each side is pushed down toward the other half of the handle by a spring. At the end of the cantilevered “arms” (one on each handle side) is a hardened steel bar. That bar rests on a notch in the tang of the blade, locking the knife open. It’s a very sturdy design — this is Cold Steel and Demko after all. But it’s also one of the most visually striking designs. Think of it as the knife equivalent of a demonstrator fountain pen. This is a lot of innovation for $270 and gives the CRKT Provoke a run for its money in terms of the most innovative knife. The other completely new knife is a flipper design by Wes Crawford called the Crawford I. Because of its connection to the Tri-Ad lock, there are very few flippers in the Cold Steel lineup. That might appeal to some. The steel (unusual budget steel called 4043SS), the rubber inserts on the handle, and the generally garish look don’t appeal to me. It does have last year’s innovation, the secondary lock, but that doesn’t move the needle either. At $50 the Crawford I seems okay; it’s just not my thing. Beyond that, Cold Steel has its normal assortment of fixed blades, outdoor gadgets, and SCA-friendly swords. 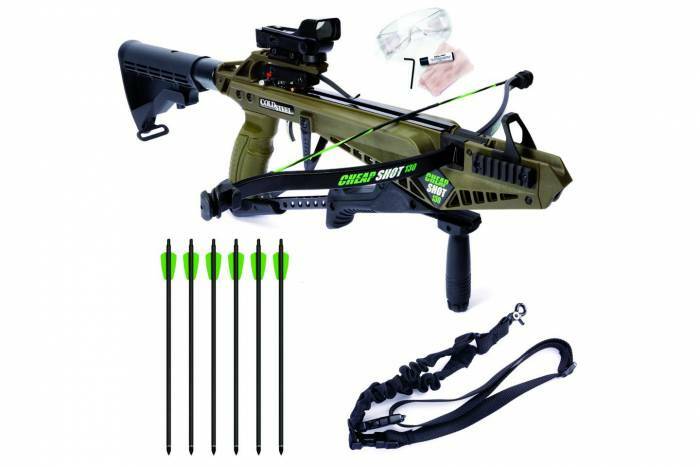 The brand is also releasing a crossbow, the Cheap Shot 130, that is decidedly outside my realm of knowledge. I imagine this is a follow-up to the brand’s release of polycarbonate arrowheads a few years ago. The most exciting fixed blade is the uncoated Cold Steel SRK in 3V. Long a mainstay of Cold Steel’s lineup, the SRK is a great midsize knife. The only issue was the steel. Now that it’s equipped with the ultratough 3V, the SRK is back in the running for the best all-around fixed blade. Cold Steel introduced a coated blade with 3V last year, but coatings and fixed blades go together like Cheerios and screws. At $255, it’s quite expensive, but so is its competition. It’s roughly the same price as the Bark River Bravo 1 and the high-end Fallkniven A1. 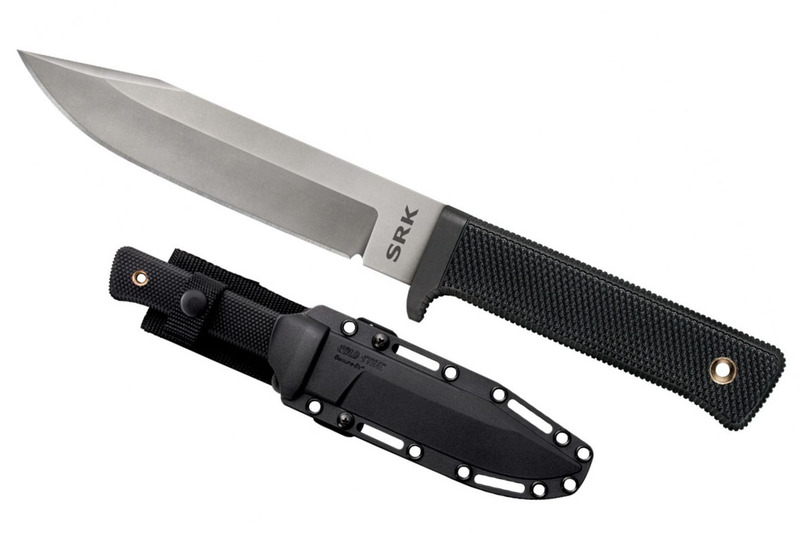 Both the fixed-blade AK-47 and the Medium Warcraft Tanto get stonewashed blades of 3V. They are also more expensive ($285 and $235, respectively) but still within the price range given the steel. There are a lot of fillet knives, drop-forged knives, and daggers as well as a bevy of swords. None are all that eye-catching. Grade A: I’m a sucker for big bets, and this year Cold Steel didn’t go for a new lock or a new deployment method. It went for quality design. I like that bet. 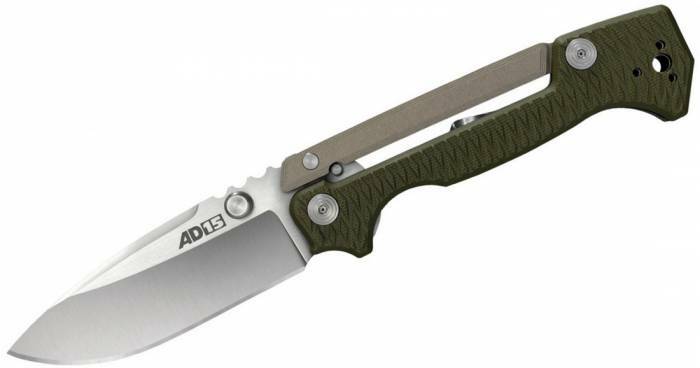 The AD-10 will sell well, and if the AD-15 is a match for its custom brother, Cold Steel will do well. The designs are there. The only thing that could hold it back is the fit and finish and getting stuff released on time. 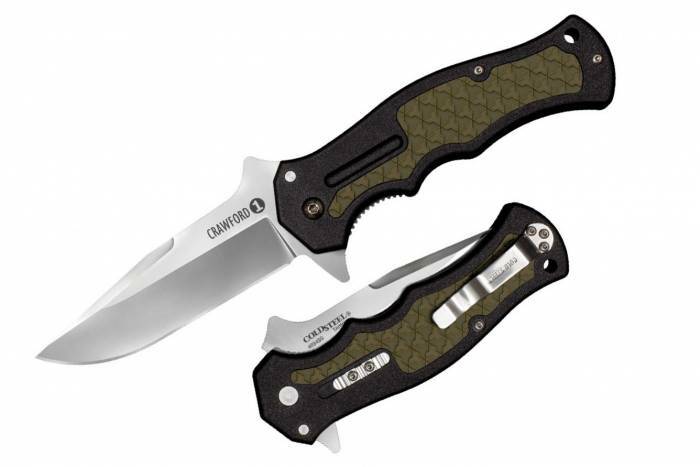 I also like that the brand is slowly upgrading its evergreen fixed-blade designs with 3V. Good materials and good designs seem like a solid (if simple) plan. Instabuys: There are three this time — the AD-10, AD-15, and 3V SRK.